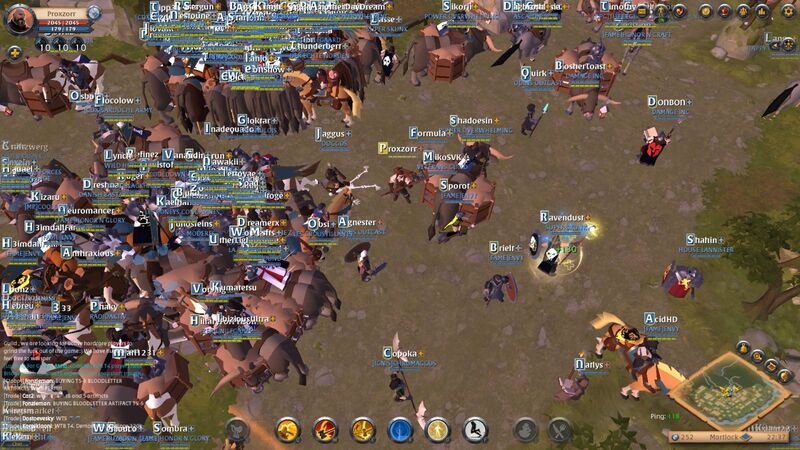 Albion Online is an open world Sandbox game with a fully player driven economy. Set in the medieval setting, the EvE Online of normal MMORPGs. Player versus Player is the main focus of the game, and this can be found back in the design of the world map. Every guild is able to get its mark on the map, in one way or another, and even solo players can have a bit of an influence. The game has had its postpones, extra extended alpha phases, and also an extra Beta phase, but finally in July the game is supposedly set to come out. For about the fifth beta now, the whole world has been reshaped once again to their new ideas. A bunch of extra weapons and armor has been put in the game, but the concept of most of these weapons are from the ones we already had in one way or another. The game has had a graphical overhaul and does look much better, but it isn't a huge difference that matters all too much. And an extra addition, Expeditions! Albion Online tries to put the focus on bigger groups. Scattered in the world are objectives that the player can focus on, though the larger your group, the more they favor you. A heavily focused PVP group with players all sharing the same goal, trying to be the best in PVP since the game puts its focus too much on the crafting. When you create your character and get thrown at one of the starting zones all around the map, you are free to do what you want to do; there is no story line to follow, or set path to take. It's all up to you personally. Most players obviously go and level up their weapons and armor because everyone in Albion aims for a build. Since weapons and armor both give you different skills and spells, there will always be some sort of a meta with armor set/weapon combinations. So most players at the start are set to just grind their way to a higher tier of gear for their build and go from there. What made Albion previously so enjoyable was that even with doing your daily dose of PVE of trying to level up your character, you had to do so in the open world, and eventually go into the higher leveled zones where people were able to attack you, and contest your dungeon or grinding spot. But this is where the Expeditions come into place. In every city you will find these Expeditions that are basically like different player bound instances where you will have to run its entire course to get a money reward. And while ‘Fame’ gain is the same as in the open world, the silver is a lot less. Fame is used and needed to level up your gear and thus very important. Money can easily be made by everyone. Leveling up your gear used to be different. This time around, grinding through the higher tiers is simply too easy. With every new update the game is catered towards the more casual players, making it easier in one way or another. But of course most importantly, the need to not enter the open sandbox world to compete with others is destroying the very nature of the competitive sandbox world they intended to build. It honestly tries to get rid of its sandbox shackles with each update. To be honest, if you love crafting/gathering resources, I'll recommend the game to you as the game can be a lot of fun. 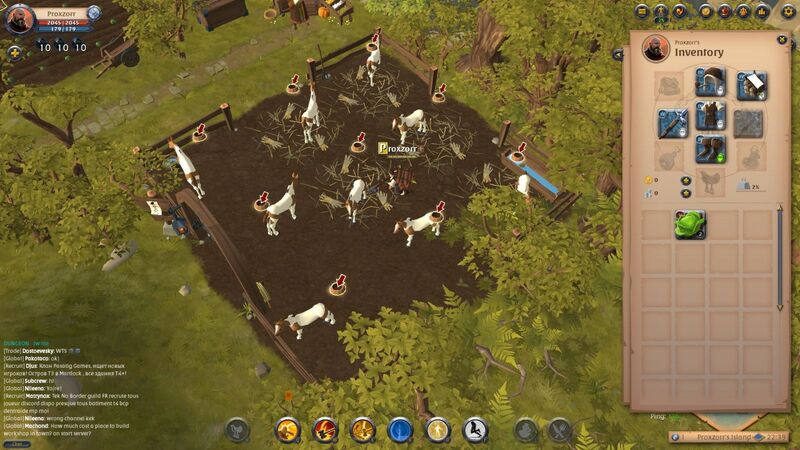 As it's initially hard to equip the characters in Albion Online without gold, if you need enough albion online gold to do what you want, come to www.upalbion.com.